Malaysia loss is Indonesia’s gain. 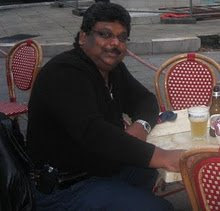 Reverend Father Irudayam Singarayar Sebastian James was in Malaysia in the early 60s for a year and was attached with St Francis Xavier Church in Petaling Jaya and was serving the Indian community of St Joseph, Sentul, Fatima Church, Brickfields and Assumption Church, Petaling Jaya. 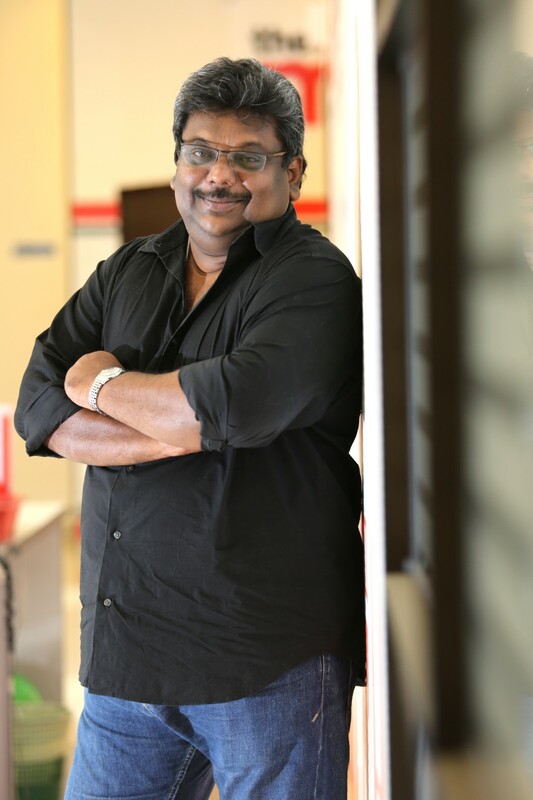 Father James had applied for a visa to continue working in Malaysia, but he was denied and he returned to India. He then went to continue with his studies in theology in Java. 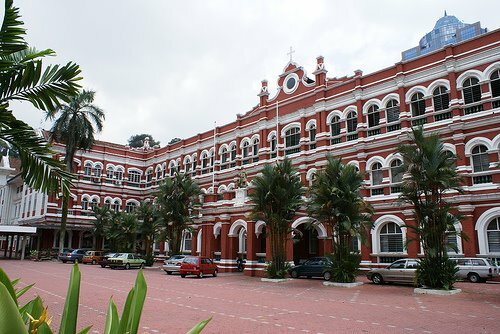 He was there for two years and was getting bored until he met a man from Medan and suggested that he go to Medan for a holiday where there were many Indian Catholics. He did that in 1968 and that was the beginning for his love for Medan where he has become an icon not only to the Catholic community but the people of Medan for putting the city onto the world map with the building of the Our Lady of Good Health Church, Medan (Graha Marai Annai Velangkanni) also known as Our Lady of Vailankanni (and in Tamil - Ārōkkiya mātā). This saint knows its origin with an apparition in the 17th century in Velankanni Town, Tamil Nadu, India. Graha in Sanskrit means home, sanctuary or shrine. The temple is an imposing building, of two storeys and a small tower of seven storeys in Indonesian style that attracts attention from the main road (it is situated in the small road Jl. Sakura III besides Jl. Simatupang). Such is the impression on visiting this beautiful Marian Shrine, christened as Graha Maria Annai Velangkanni. It has become important pilgrimage site in Asia for all walk of life, culture, religion and race and iconic symbol for Medan which is also a tourist attraction. 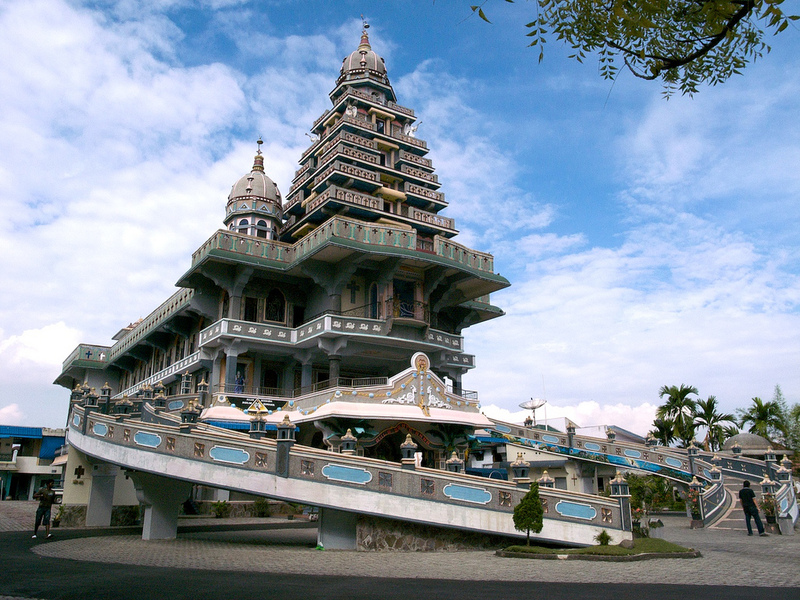 The magnificent shrine is the first in Indonesia and the second in the world as pilgrimage centre besides the original at Vailankanni in India. The architecture of this shrine is totally different from the norm. Several religious symbols adorn the building, but these are in harmony with the structure of the shrine and form a beautiful unity. Aesthetic and religious values blend in to express the loftiness and the great mystery of the divine majesty. Father James, an Indian Jesuit missionary in Indonesia, for the past 45 years became an Indonesia in 1989 and was asked to take an Indonesian name and thus became James Bharataputra Sebastian James. 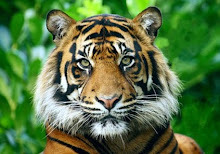 “It was as though a dream that had come true and a miracle that had taken place, because with only a strong faith and conviction in the Providence of God as my initial capital, that I ventured into such a monumental work that was eventually to cost more than four billion Rupiah (equivalent to US$ 500,000) at a time when the Indonesian national economy was very unstable,” said Father James when met in Medan recently. “Certainly it seems illogical and uncommon for many, but not for a man of faith. Moreover, with no building committee for fund raising, no qualified designer and architect, no professional contractor and no real artist to do the paintings and relief works, except a highly qualified Catholic engineer, Johannes Tarigan, who offered his services free to work out the structure and supervise the construction of the building, it seems madness to venture into such a huge project. “But as it turned out, the fact that God was behind all these efforts to create such a beautiful church and community hall is plain for us to see. 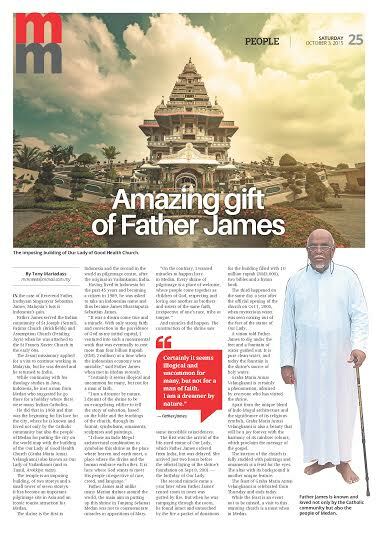 Father James came to Medan to serve at St Anthony’s Church in the 70s before he wanted to build the church. 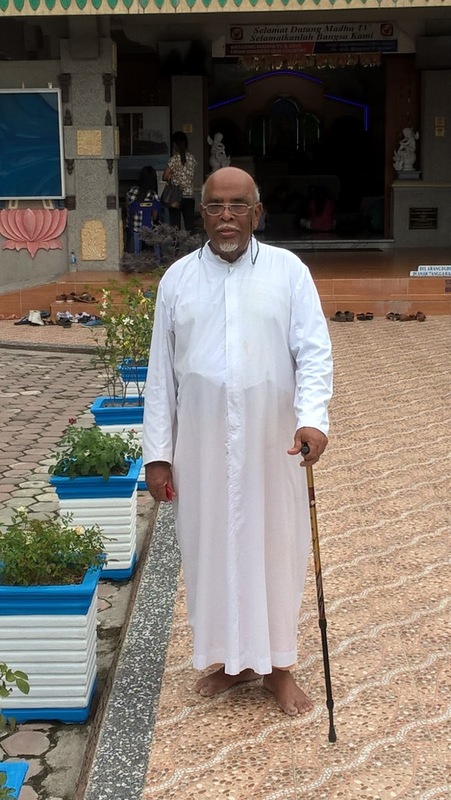 During his work with the Indian community in the church he had purchased a land at Tanjung Selamat (Bay of Salvation) to relocate the Indian community from a slump area. But they did want to leave the original area. Father James then wanted to build a church and approached the Archbishop A. G. Pilus Datubara who gave his blessings. He used the land he had purchased earlier as the site for his project. 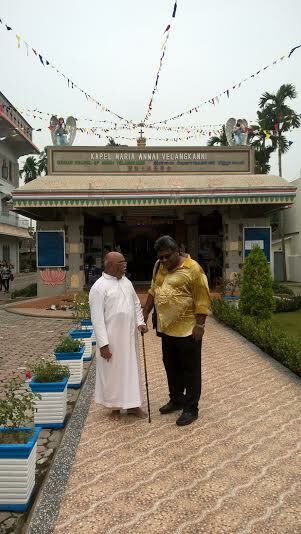 “Having been relieved of all the parish commitments, I had concentrated only on this project during the four years of the shrine construction ( from September 2001 to September 2005), through planning, playing the roles of an architect by designing of a contractor by employing ordinary workers on daily wages and supervising the construction day in and day out. But God has been inspiring me all the time, providing the funds all the means needed in so many mysterious ways. “I am a dreamer by nature and I dream dreams. I dreamt of the shrine to be an evangelizing edifice to tell the story of salvation history of mankind, based on the bible and the teachings of the church. Through its format, symbolisms, ornaments sculpture and paintings. Attempting on enculturation I chose Indo-Mogul architectural combination by which to explain that this shrine is the place where heaven and earth meet and a place where the divine and the human embrace each other and it is here where God wants to meet His People irrespective of race, creed, and language. “All the credit and glory goes to God because he had the plan to be realised and used mostly amateur hands to achieve this marvel. At times God’s inspirations came to me during my dreams and at times I wake up from my dream and jotted down some of the details of my dream lest I forget them. I do not know how to describe this extraordinary spiritual experience by which I felt that it was God who had been dictating his plan in detail as I was proceeding with the construction. Mary Annai Velangkanni seemed to look after my health all the time, although I had had some health problems before I started on this job. “Twice I had serious motor cycle accidents and came out unscathed thanks to the protection of Mary. At no time did I feel worried about funds for the work because the Lord was providing my weekly needs through the generosity of hundreds and hundreds of Marian devotees who had been sending donations through my bank, mostly in anonymity. Hardly, ever did I feel tired or exhausted in my work at an age of 68 then,” said Father James who is 73 now. 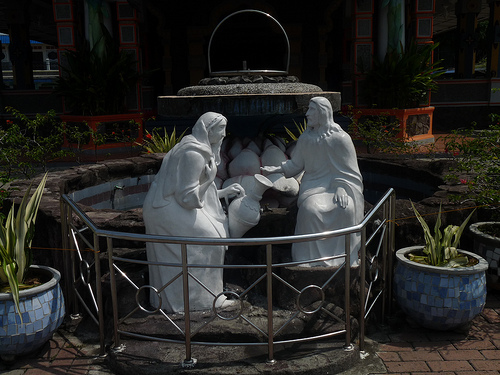 Father James said the main aim in putting up this Marian shrine here in Tanjung Selamat Medan is not because some extraordinary and miraculous thing had happened or some apparitions of Mary had occurred to warrant a shrine here. And it did happen. The first was the arrival of the statue of life-size Our Lady which was Father James ordered from India but was delayed. But arrived two hours before official laying of foundation stone for the shrine on Sept 8, 2001, the birthday of Our Lady. The second a year later when Father James rented room in town was gutted by fire brining it down to ashes. The third happened on the same day a year after the official opening of the church (Oct 1, 2005 – by then acting Governor Dr Rudolf Pardede of North Sumatra Province) when mysterious waster was coming out of the feet of Our Lady. A vision told Father James to dig under the feet and a fountain of water gushed out. It is pure clean water which is drinkable and the fountain today is the source holy water from the shrine. Graha Maria Annai Velangkanni is certainly a dual phenomenon, admired by everyone who has visited this Marian Shrine. It is like a mind of grace and blessings comparable to a spiritual treasure that needs to be hunted and above all, it is a mystery to be explored. Apart from the unique blend of Indo-Mogul architecture, apart from the importance of its religious symbols and its biblical content, and apart from its awesome majestic look, Graha Maria Annai Velangkanni is also ‘a beauty that will be a joy forever’ with the harmony of its rainbow colours. Through its seven rainbow colours, Graha Maria proclaims the message of the Gospel. As turned out, it is only at the end of 2011, almost seven years after the original painting of this colourful Graha Maria discovered a profound meaning of the colours that are used on the building by Father James. Initially the main purpose of painting Graha Maria in multi colours was to attract the attention of the passers-by. But amazingly enough it seems that it is God, the real architect of Graham Maria who seemed to have chosen the seven colours of the rainbow which is a sign of hope and had so arranged them in an ascending order as to reveal his grand plan of salvation of the human race. Everyone who comes to visit this Marian shrine, irrespective of race, language, religion, and socio-economic status will certainly discover the significance of its colours. The amazing thing about the colours of Graha Maria is that it took seven years to discover their significance intended by God, the original architect who seems to have arranged them in an ascending order -black-grey-white-red-green-blue and yellow. 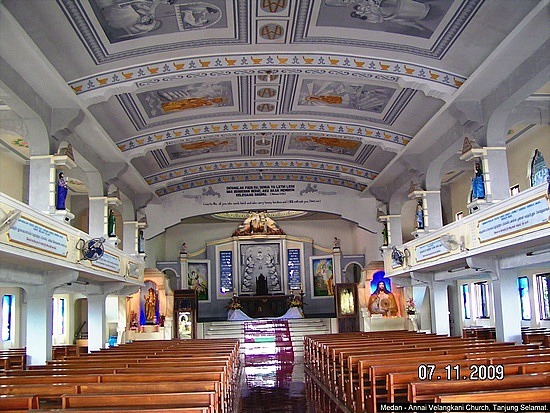 The interior of the church that is fully studded with relief, paintings and ornaments is a feast for the eyes. The altar with its background is another unique feature. The feast of Graha Marai Annai Velangkanni is celebrated starting on Thursday and culminating on Oct 3. While the feast will be an event not to be missed, but a visit to this stunning church is a must when visiting Medan.